My car is amazing! Its good on gas especially for an SUV, it rides like a caddy. and it is very roomy. Maintenance ist expensive either and about the only downer I have seen is the fact that the radio doesnt have a repeat button. 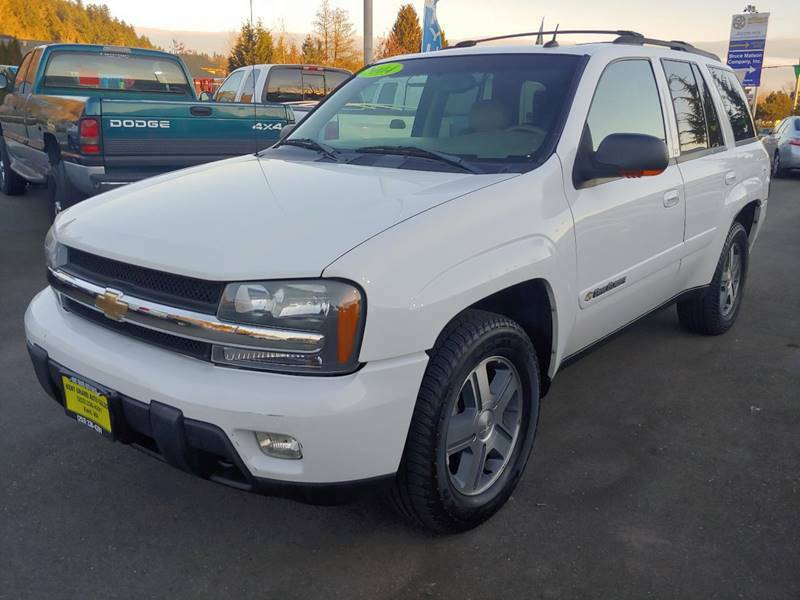 Sorry, we couldn't find any Chevrolet TrailBlazer listings that matched your search criteria. 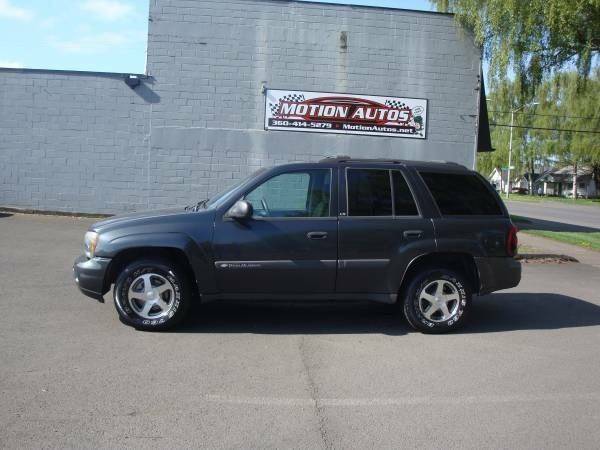 Here are Nationwide listings for a Chevrolet TrailBlazer. 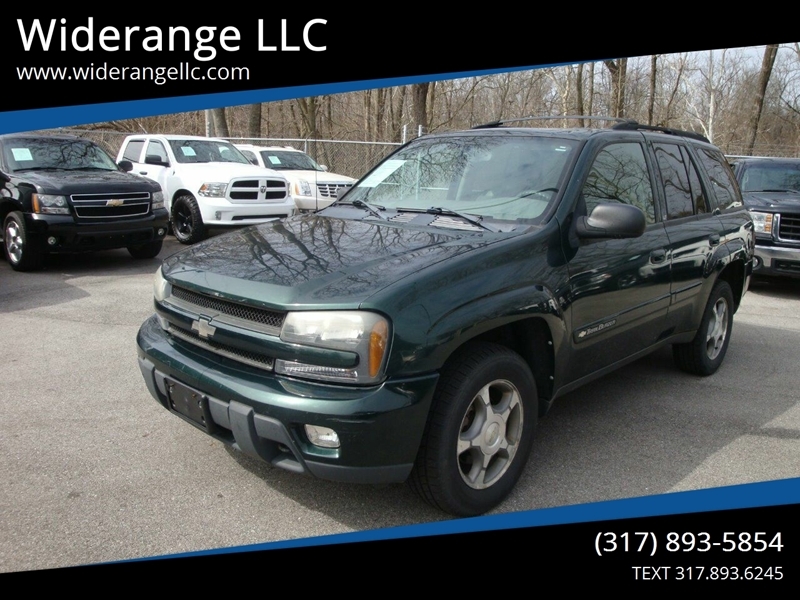 Here are our listings for all model years of the Chevrolet TrailBlazer. 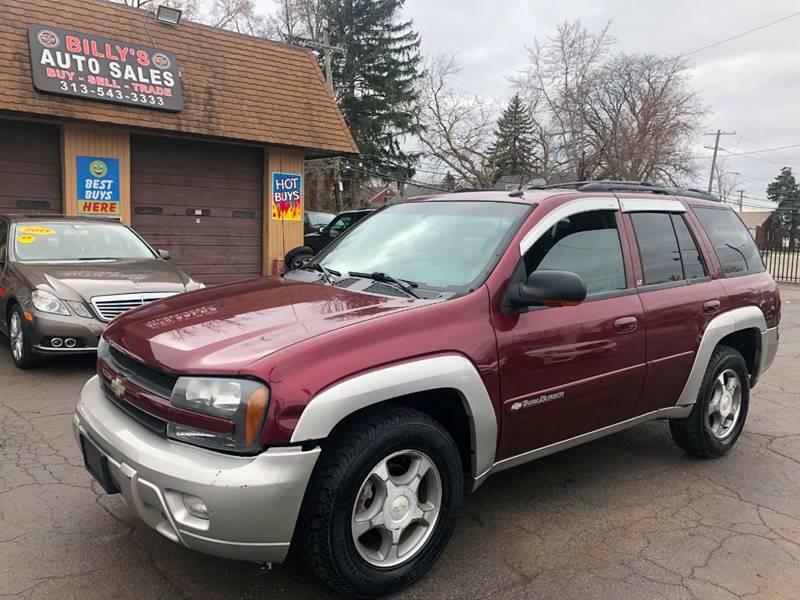 Sorry, we couldn't find any 2003 Chevrolet TrailBlazer listings that matched your search criteria. You might be interested in these similar years for Chevrolet TrailBlazer. Avg. Dealer Rating: (15 reviews) "We bought a truck here. Best & most honest (yes I said honest!) family dealership I've ever dealt with. Monty, his wife & son are easy to work with & prices that can't be beat. I absolutely recommend them to anyone & everyone. If nothing else, the vintage museum they call a showroom/sales office is not to be missed." Avg. Dealer Rating: (37 reviews) "They kept me up to date on what I needed to know "
Avg. Dealer Rating: (3 reviews) "Great businesses "
Avg. Dealer Rating: (13 reviews) "Really great customer service "
Avg. Dealer Rating: (42 reviews) "Very nice customer service "
Avg. Dealer Rating: (38 reviews) "Leah was very friendly & helpful. For a smaller dealer they have a large selection of very nice cars at good prices. Very pleased with my new Miata." Avg. Dealer Rating: (6 reviews) "Good place to shop for low priced vehicles. Dealer was friendly and helpful." Avg. Dealer Rating: (24 reviews) "People there were friendly and helpful "
Avg. Dealer Rating: (23 reviews) "Thank you Quinton and Chris Brown The car was just as Quinton said. " Avg. 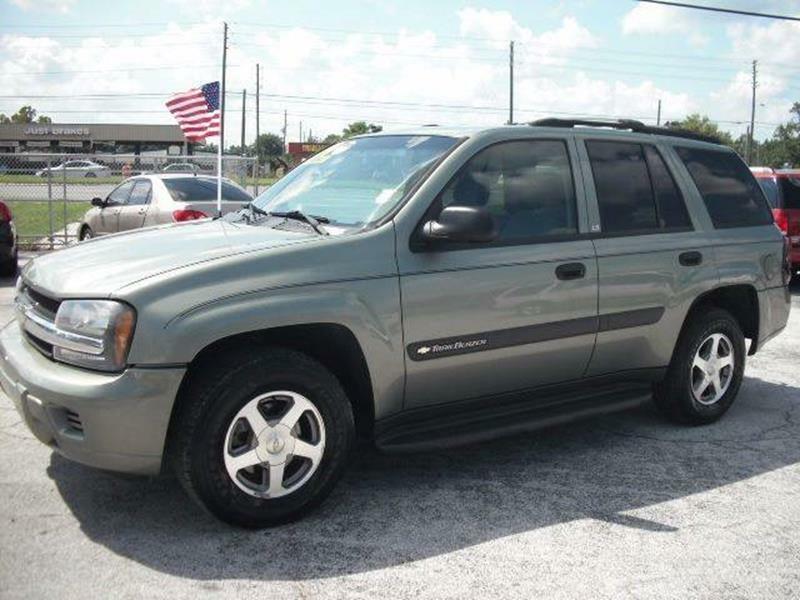 Dealer Rating: (13 reviews) "Dealer was prompt in their response but truck was already sold." Avg. Dealer Rating: (12 reviews) "Got a hold of me quick "